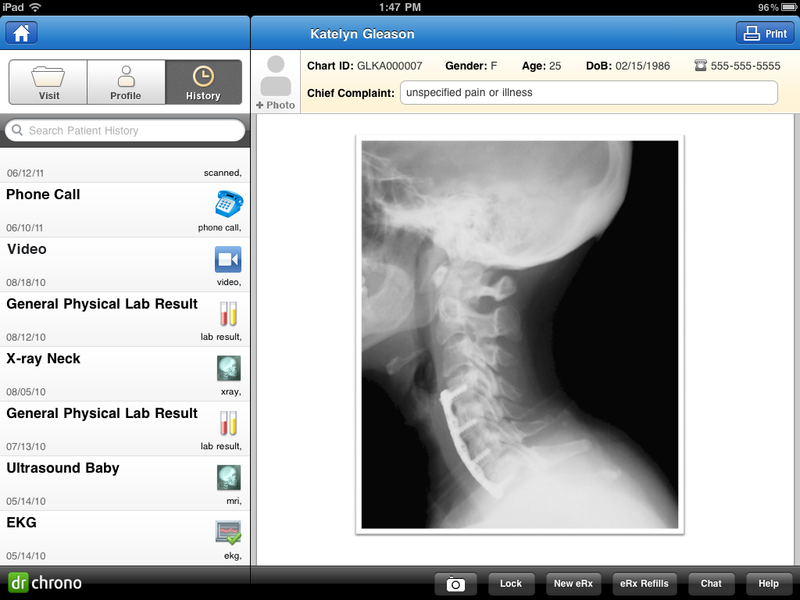 from Forbes Magazine, a look at an interesting new EMR system based on the iPad. A new start-up, drchono, seeks to bring the ease of use and fun of iPads to doctors offices. Drchrono provides an iPad-based digital health records system that doctors can use to manage their records and interact with patients. Besides a freemium-based iPad application, the service includes a patient website for patients to access their health records that doctors make available to them. Drchrono has raised $675,000 in seed financing from General Catalyst, Charles River Ventures, 500 Startups, Y Combinator, Paul Buchheit, Google executive Matt Cutts and the Start Fund, a fund from Yuri Milner and SV Angel. “More of the leading edge doctors want to use this technology on the iPad,” says Daniel Kivatinos, cofounder and COO of drchrono. While many doctors offices still write everything on paper, more and more are moving to digital, Kivatinos says. Drchrono attempts to provide an efficient way for doctors to manage all aspects of their practices. The service includes features for doctors to record and review physical exams, medical history,visual images such as X-rays, and the like. 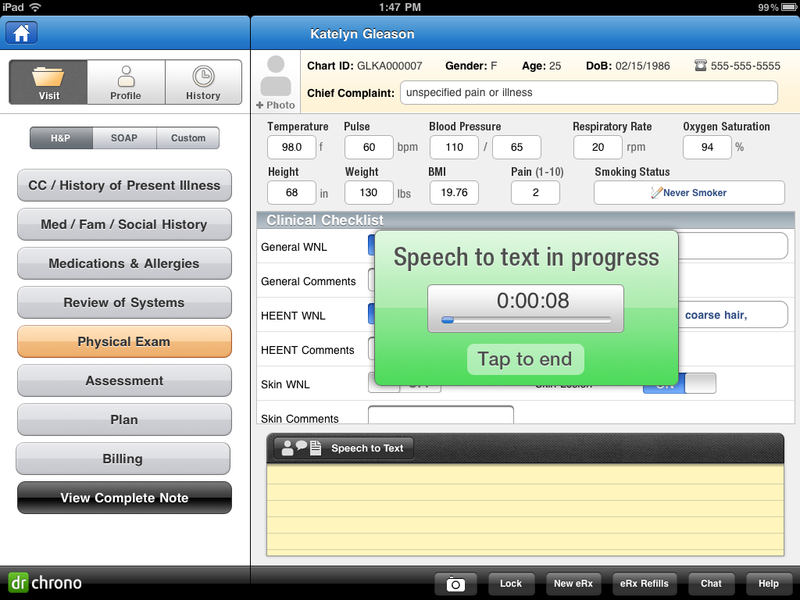 Doctors can also handle medical billing, prescribe drugs, or record a clinical note using speech-to-text on the app. The service is free, with a premium paid version for more features. The drchrono service is designed for doctors to input and review patient information while meeting with a patient. The company is also working on a feature so that doctors can use a stylus to do things like draw on medical charts, like an interactive medical chart. The company’s technology is compatible with existing medical records standards such as CCD and HL7. The service is also compliant with HIPAA, the federal guidelines that protect patient health records.